Alarm designed to prevent the unauthorized access to display case doors. The alarm protects up to 6 doors with sensors mounted inside the case. If unauthorized access occurs, the alarm sounds. Utilizing an infra-red remote to allow access, it also warns if a door has been left open for too long a time. It automatically resets once a door has been closed. Uses 6 C cell batteries for back-up (sold separately.) 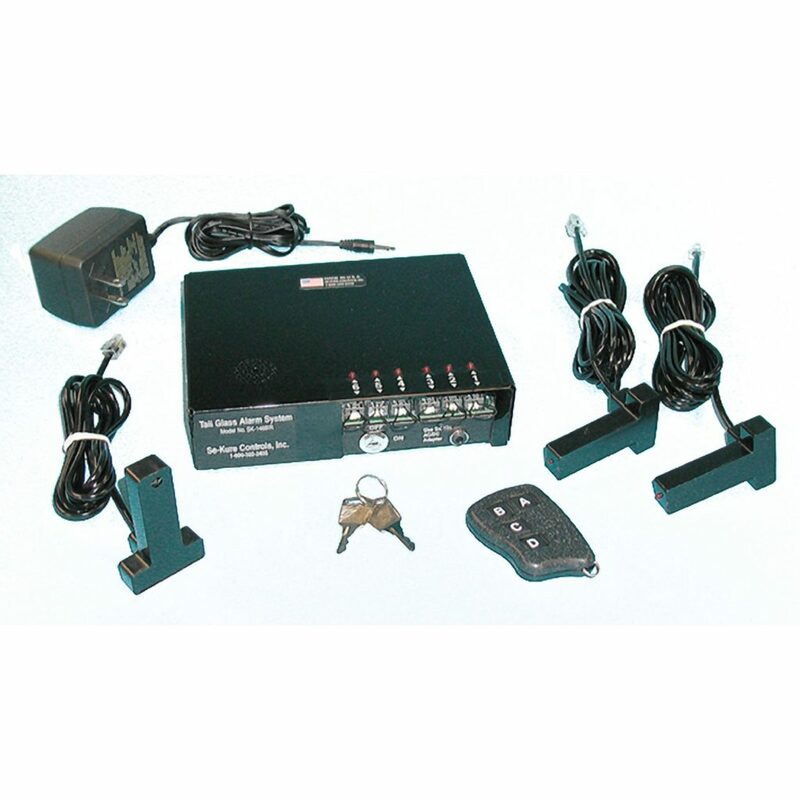 Kit includes 1 alarm module, 6 sensors, 1 power supply and 1 remote. 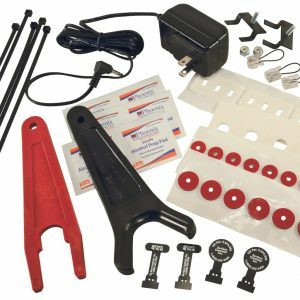 Kit includes the alarm module,power supply, 6 sensors and one remote control. Remote horn is available. Individual kit components amy be ordered seperately.